Rolling Pines Golf and Country Resort is proud to present Rolling Pines Estates. If you would enjoy the peaceful picturesque surroundings of country living with the challenge of golf in summer and cross-country skiing in winter then Rolling Pines Estates are for you. You will be amazed at the abundant wildlife and serenity that will greet you daily. Elk, whitetail deer, eagles, falcons, and of course the beautiful bluebirds that all grace Rolling Pines will enchant and entertain you. Wildflowers and plant life bloom at your door step beginning with the crocus in early spring to roses, tiger lilies, honeysuckle, many natural species of grass and the fantastic fall colors all add to the country elegance and pleasure. 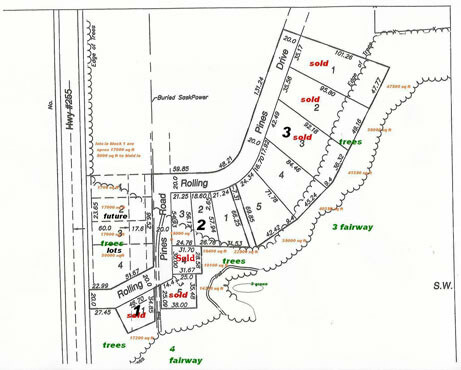 Fifteen parcels accessible from Tobin Lake Road just 12 minutes from Nipawin and 12 minutes from the beautiful Resort Village of Tobin Lake, renowned for world class fishing and recreation, are being offered for sale. 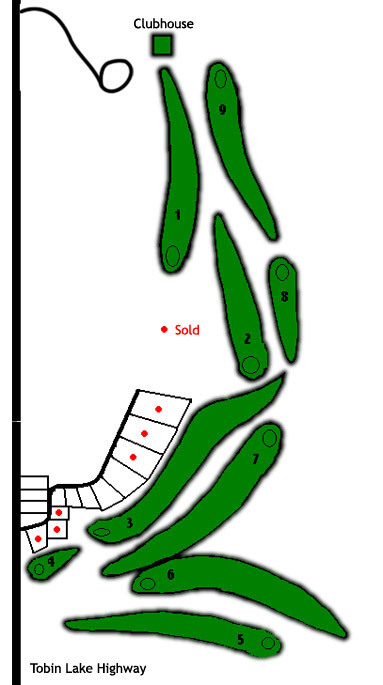 Eight of the lots border fairways #3 and #4. The lots are serviced with power, gas, telephone and streetlights.